You know that here in the Surznick house, we loooove our coffee. Whether it be hot coffee, an iced latte, coffee ice cream, or a delicious cocktail, coffee flavor is just one that I rarely pass up. 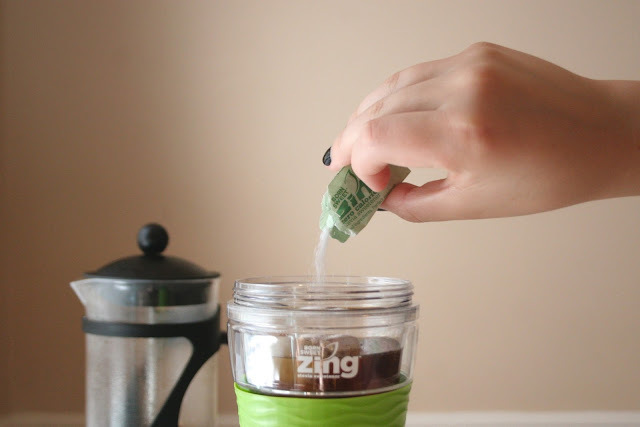 We're so excited to share two different cold brew coffee recipes today in collaboration with Born Sweet ® Zing™ Zero Calorie Stevia Sweetener. Similar to our Pumpkin Spice: Morning & Night post, on deck today we have Cold Brew Coffee: Morning and Night - one drink perfect for your morning commute and another one perfect for happy hour after a long day at work! First we have to start with making our cold brew! Last year we showed you our usual technique for making cold brew coffee, but now that fall (and cooler weather!) is officially here we won't need to be making batches so large. 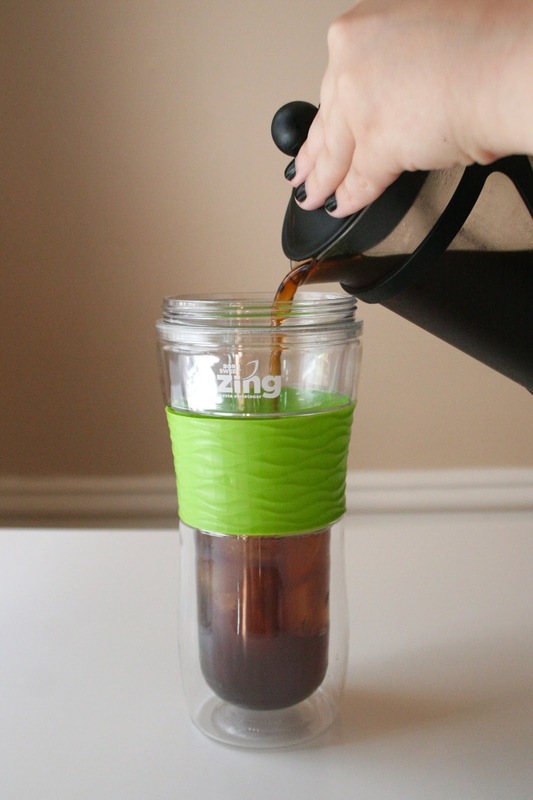 Making cold brew coffee in a French press is so simple! - Combine your ground coffee and water in your French press. 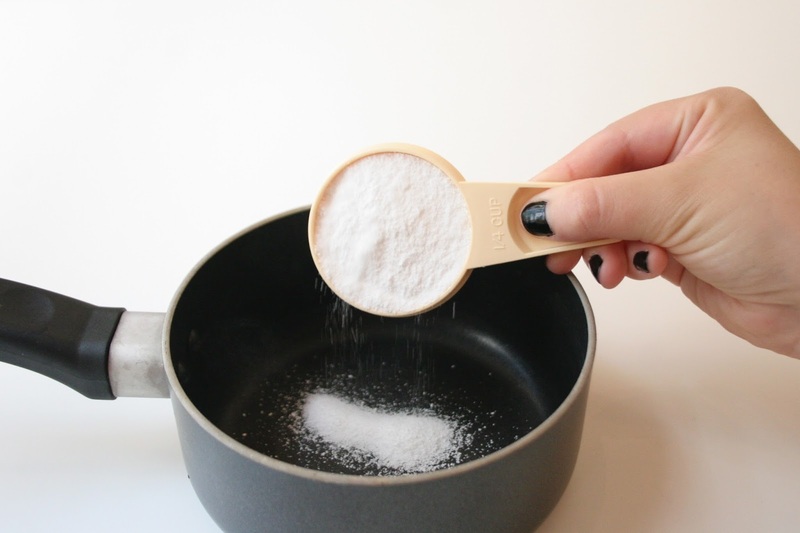 - Gently stir until all grounds are wet and well-blended. 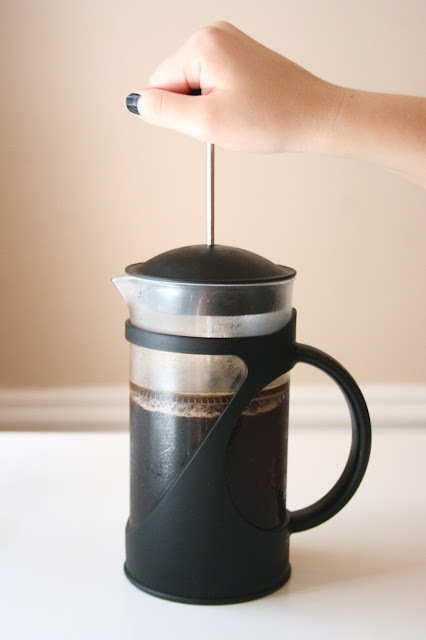 - Cover French press with the lid but do not press down plunger. - Steep coffee overnight in refrigerator. In the morning, press down plunger to separate the coffee from the grounds. Okay, now let's make that cold brew taste reeeeeeeal good. 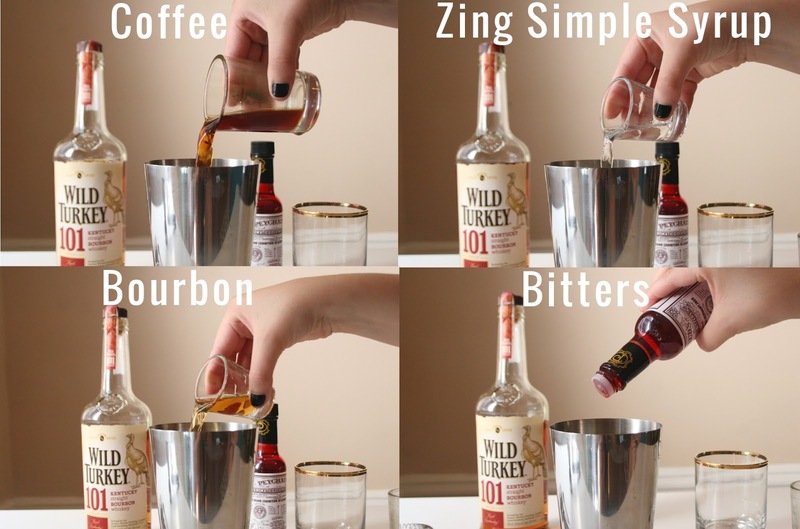 Add it to your favorite mug or tumbler with some ice, a packet (or two!) of Zing™ Zero Calorie Stevia Sweetener, stir it up, and drink! Even though I love hot black coffee, I've never been one to drink my iced coffee black. 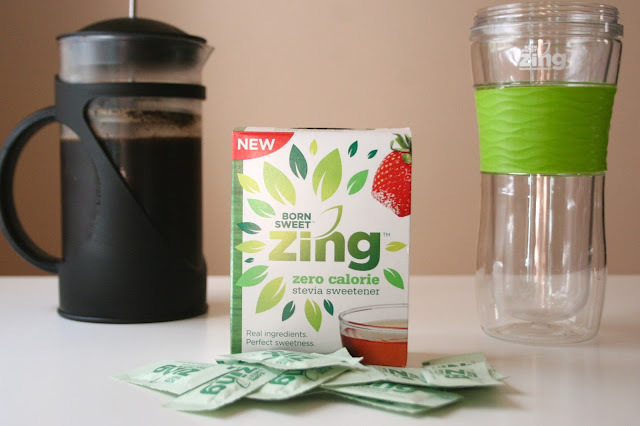 Adding some sweetness is a necessity, so I love that Zing™ Zero Calorie Stevia Sweetener has NO artificial ingredients and (obviously) zero calories! If you're like us, coffee isn't just for mornings. 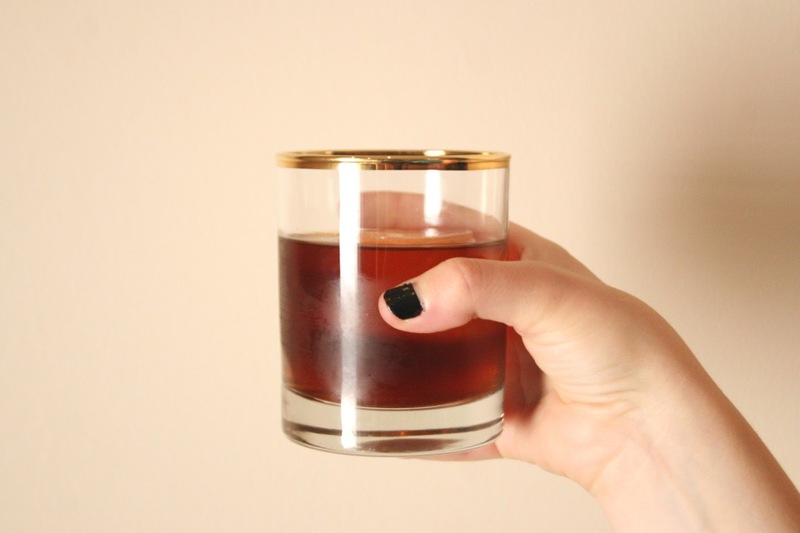 Coffee is delicious ANY time of the day, but when happy hour is involved, it's even better! 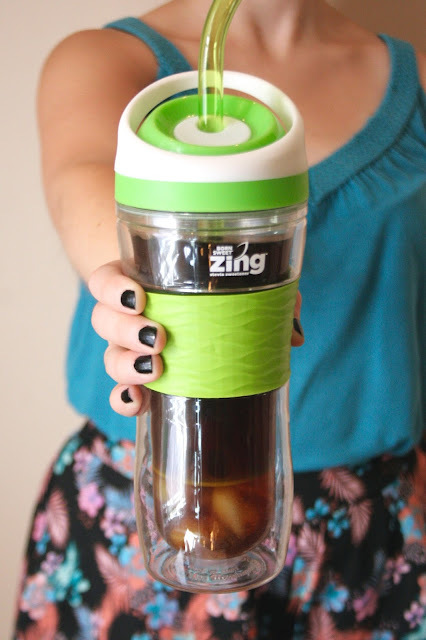 Check out the steps below to learn how we made a delicious coffee cocktail with Zing™ Zero Calorie Stevia Sweetener simple syrup! - First make your simple syrup. To do so, combine 1 part water to 1 part Zing™ Zero Calorie Stevia Sweetener (we used 1/4 cup each.) Heat over medium heat, stirring until well dissolved and let cool. Extra can be covered and stored in the refrigerator. - Combine all ingredients over ice in a cocktail shaker. Strain into a lowball glass. Cheers! 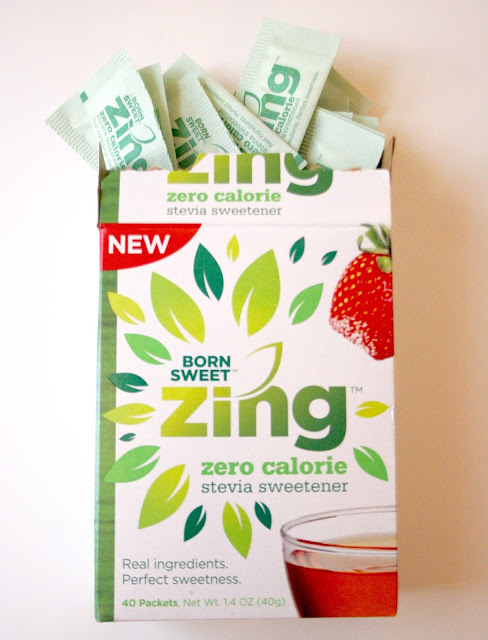 Are you interested in trying Zing™ Zero Calorie Stevia Sweetener? Well I have good news - you can get a FREE sample by clicking here! Or you can head on over to the store locator to find out where to get Zing™ products close to you! For the latest and greatest from Zing™ make sure you like them on Facebook or follow on Twitter. And of course, share your Zing™ Zero Calorie Stevia Sweetener creations on your social media with hashtag #BTSZingSpiration because we want to see what you're making! 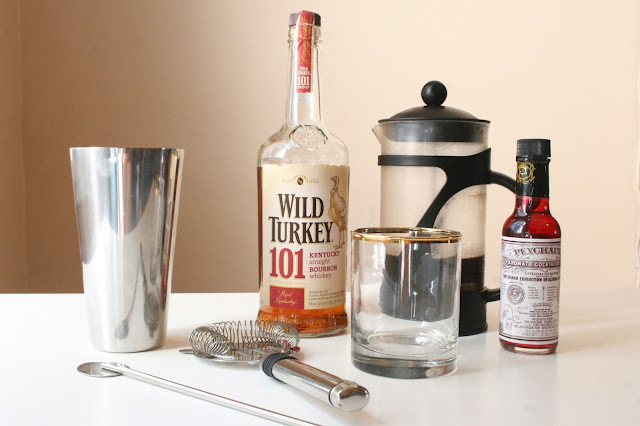 I really loved the drinks we made with this product (especially that cocktail!) so I can't wait to try out some more recipes (I'm thinking smoothies and oatmeal!) What would you make? Be sure to let us know in the comments below! Thank you to Zing™ Zero Calorie Stevia Sweetener and Her Campus Media for sponsoring this post. All opinions are our own. And thank YOU for supporting the brands that support The Surznick Common Room!